1) I expect it to be temporary and will be removed once the business side of things calms down (i.e., there are products officially for sale and I have a full staff to take care of the details). 2) The information listed on this page does not properly belong on the "News" page. I've been spending a great deal of time on the e-cart lately. There are some pretty hefty pros and cons to the stock system. For example, the main logic behind the system is surprisingly powerful, but even the smallest changes require a good grasp of things I've never used before (such as PERL). The layout of the forms needs to be tailored to this site, and although it's not overly difficult to do so, it does take an enormous amount of time and effort. So, I hope to have the logic set up by rollout, but the layout will be an ongoing process over the next few months. Oh, and in case anyone is looking for it... the e-cart has been hidden until it is ready to accept orders. The really good news, however, is the boards for the Footwell Tubes, Brakelight Tubes, and Sidemarker Lights have arrived. I will need to spend a few days transferring the code over to the new processor (it's different than the prototypes), but they should be ready before rollout. The Minis have been selling quite well, but I know quite a few are holding back on their purchases until the other components are ready for sale. I've been asked continually about the upcoming print ad, so I might as well let the cat out of the bag. Look for the December issue of Modified Mag, which should hit newsstands November 2nd. I'm doing my best to make sure we're ready for our official rollout November 2nd. There's a nice stack of Minis ready to go, and the order was just placed for the Footwell and Brakelight Tubes (typical, took longer than expected to get all of those ducks in a row). That date will (hopefully) mean I can get back to some design work again and get some new products ready for manufacturing. I know a lot of people are chomping at the bit for an underbody kit, and I may be able to provide a medium-term solution. As functionality grows in the system, the main control box may need replacement, but the tubes themselves could continue to be used. Since the majority of the cost will be in the tubes (and the LEDs inside of them), this may be an acceptable solution. The approaching deadline also means an end to this blog of sorts, and its removal from the website altogether. I intend to continue providing some sort of feedback to everyone, just in a somewhat more clean manner. Feedback won't be so detailed, but will at least give you a feel for how a project is progressing, or what features/products are coming up. Eventually a forum will be set up to allow public feedback, as well as allowing everyone to discuss their ideas/thoughts with each other. I have made some more modifications to the website again, particularly to the 'Pictures' page this time around. Another question was added to the FAQ, but as I've said in the past, there is so much more I wish to add to both the FAQ and the Tech page. Time just hasn't yet allowed it. No sooner had Hurricane Frances set much of South Florida back to the Stone Age for a few days than Hurricane Ivan came rolling in to mess with Florida's Panhandle. Here we are a few weeks later, and now we're having to worry about Hurricane Jeanne (I'm also completely ignoring Hurricane Charley from a couple of weeks ago). As always, we'll never be sure as to where it will hit until around 24 hours before landfall, but I'm crossing my fingers we don't lose power again. Minis have arrived... well, at least a panel's worth. It's not enough to sell to more than a few friends and use the rest for setting up a couple of show cars, but it's a start. I needed to give my 'OK' to the first batch before the remaining pieces would be assembled. Well, these certainly get my 'OK', and they work like a charm. Based upon initial customer feedback, a few minor adjustments were made to the code to allow easier color selection. If I'm correct in my planning, the remainder of Minis should arrive sometime in the coming week. Pics of the Minis have been added to the Products page. The front page is a little more difficult to read than before... I added in a background pic but haven't altered the text to deal with the new form. The important news, though, is the very same picture will appear as the background to an upcoming print ad in a popular car magazine (I won't list which one until it hits news stands)... expect to see that in the December issue. Some time has been spent cleaning up several pages, including the 'About' page (you could say it was 'About' time). I've been chasing down a few new components with limited success. Some are necessary due to the new format the first several projects have taken on, others are due to future project ideas. It's a time sink I'm not happy about, but when have these things ever gone smoothly? The first batch of Minis are stuck in Alaska, according to FedEx's website. They haven't updated the package's status for a day and a half, so it could either still be in Alaska, or it could be showing up on my doorstep tomorrow (hoping for the latter, of course). As you may have noticed, the Products page has been organized to clear up the mess it had become over the past several months. It is still missing pictures, since we're still missing products, but that will be remedied in the coming days and weeks. The functionality of each product should be quite a bit clearer, as well. It also looks like I'll have to deal with modifying the website piecemeal, rather than my intended plan of "drop an entirely new website late one night". My first major change will be to finally rid myself of frames and move to a more conventional table setup. It's not that I haven't been impressed with frames and their capabilities, it's more that I'm NOT impressed with the capabilities of certain browsers to support them properly, and more importantly, the search engines to properly cache the website content. Frames... great implementation, poor support. Next up will be the replacement of the "...electronics by MacGyver..." tagline. It was worthwhile to have it when I was only selling to members of car forums, people who knew me by my online nickname "MacGyver" and my affinity for electronics. Now that Hi-Tec Designs is beginning its move into the mainstream, a more appropriate tagline will be chosen. Some minor work was done to the FAQ page, mostly the addition of just the questions up top with destination anchors, but one question was added. Due to multiple questions on proper placement of lighting components, I will eventually create a new FAQ section dealing with such items. I'm working fast and furious to put together a print ad. SEMA, arguably one of the largest automotive enthusiast shows in the country, will be covered in the December issue of most magazines. I'm hoping to be gracing the pages of at least one magazine for that issue. That will, hopefully, significantly increase my customer base. Well, Hurricane Frances blew through here a couple of days ago, and there's a good possibility that Hurricane Ivan may hit us in another 5 days, as well. Power was down for a meager 20 hours, so I would say this area has had more luck than most. Still, preparation for any major storm (getting supplies, putting up the hurricane shutters, etc.) tends to slow things down. But I'm sure everyone could care less about that, so let's talk business. The first product is FINALLY being manufactured at this very moment. The webpage does not even list it yet, so you'll have to wait for the product page update for details. If the shipping schedule holds up, they should be ready for sale by mid-September. The Footwell Lights have gone through some interesting changes over the last several weeks, some by unfortunate necessity, others out of a desire to simplify and make a better product. Just as the case files were undergoing their final touches for manufacturability, other issues (which I will forego mentioning) came into play. However, I believe that in many ways it was a blessing in disguise. The intelligence has been moved out of the control box and into the tubes... each tube will be individually controllable, therefore there is no longer a need for a control box. 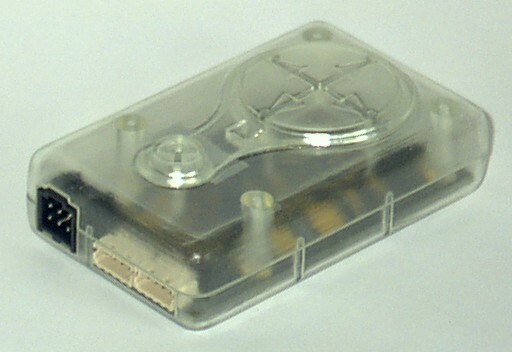 Tubes can be purchased one at a time, if need be, and their mounting location is no longer tied down to wherever the control box can be fitted. This opens up more possibilities, such as being able to use the tubes on motorcycles with no extra waterproofing precautions necessary. Credit card processing should be added by the time the first product rolls off of the assembly line. Visa, Mastercard, and Discover will be accepted, with American Express to be added at a later date. I expect this page to be phased out over the next several months. It has been a long road making it to here over the past year, but I believe it has been worth it. Now that certain details have been taken care of and products will be hitting the shelves soon, expect to see a growing Hi-Tec Designs presence at the auto shows. As you can see, a batch of the pre-production boards for the Footwell Lights and Windscreen Lights oontroller has arrived for inspection. The bare boards were plated in gold, and then covered with a black soldermask. The boards along the top row are actually the bottom of the controller board, so the company logo and website should show up nicely in the clear cases. I'm told a batch of 10 pre-assembled boards will be shipped Monday (08/09/04), so I expect those to arrive early the following week. A day's worth of testing to determine if the assembly and components are up to snuff, then the final orders for production units, cases, and wiring assemblies will be placed. The longest leadtime is on the cases and wiring assemblies (5 weeks), which puts our initial rollout at the end of September. Not ideal, but I don't have much choice in the matter. I've also included a picture of an SLA of the final case design. An SLA is essentially a prototype of an injection molded component, so the form is good enough to work with, but the overall quality still leaves a bit to be desired. I had this one polished and clearcoated to get it as close to the final product as possible. It doesn't have the clarity of the final piece, but you get the idea. Lots of little things happening at Hi-Tec Designs. First off, a set of 20 production-ready boards will be produced, half with components procured directly by me, the other half using components procured directly by the board house. If quality matches between the two (which it should, seeing as how I'm only allowing them to substitute capacitors and resistors, with minimum specs for each), the board house will procure the components for me and begin production. I expect those boards to arrive in about 2 weeks. Full production boards should arrive about two weeks after my approval of the initial batch, keeping the September roll-out date on schedule (at least for that portion). I had an SLA (essentially a one-off prototype made from the CAD files) made of the case to check for fitment. Glad I did, as some minor adjustments needed to be made. Once those are done, I'll probably have a second made to check against the pre-production boards. If both items match up, I'll give the go ahead to whichever injection molding company I've chosen by that point. Which brings us to the injection molding companies. The molds are going to cost about twice as much as they were originally budgeted for, which is going to have an interesting (and altogether undesired) ripple effect in the company as a whole for a while. Most likely it will mean a shorter initial production run to compensate. That's neither here nor there, I suppose. I've been batting a small project around in my head for quite a number of years, but had mostly pushed out of my mind as a future product once some of the current products settled down. Well, after some thought on the matter, it just seemed right to push up its introduction. I've had some free time from current projects while waiting for quotes to come in, but I've been spending that free time on the Underbody Lights in the past, so that wasn't an overriding reason. What really tripped it was the thought that 95% of the code to do it was already there from the projects currently finished, and a couple of 48-hour, sleep-deprived work sessions produced a finished PCB layout. I'm not giving any details yet, but expect it to show up for sale within a month of the initial product offerings. 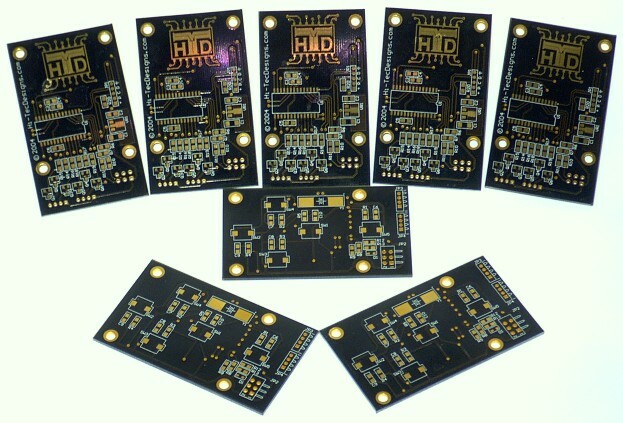 Production-ready boards have already been requested, and the code will only take a few days to modify, as appropriate. No work has been done on the Underbody Lights this past week due to the previously mentioned project and trying to get quotes in on everything else. However, once the code modifications are finished for the new product, work will resume on the Underbody kit. The CAD files for the final design were finished not too long ago (after the initial design files were scrapped). The new guy cranked 'em out in a matter of days for essentially the same price, so I'll definitely be using him for the next project. The pic shows the case as a blue-gray color plastic, but the final case will be clear to showcase the surface mount components inside. I had some more exotic case designs in mind, but due to the first guy killing my initial time frame I decided upon something a bit more simplistic. I wanted to provide a quick update before I left town for a few days to celebrate the 4th of July with family and friends. The CAD files for the case were finished a few days ago (a 2-3 day job turned into 2 MONTHS!) and paid for. After having a professional look them over, it was deemed the files were essentially worth bupkus :( The amount of editing required to make them useful in a true molding environment amounted to about the same time it would take to start from scratch, so that's exactly what's going to happen...money wasted, but I'm all the wiser for it. I'm told (and this time have a contract to back me up) the files will be ready for my final approval by the time I return from vacation. So there's light at the end of that tunnel. Getting the PCBs etched and stuffed has been nearly as big a hassle. The board house I have been working with lately provided me with a final quote several days ago...and promptly tacked on a couple thousand dollars in fees not mentioned in the beginning. I was ready for this one, though, with other board houses and suppliers in the wings. I'll lose a few weeks with the switch, but final quotes are already in hand and awaiting selection. Some serious work will be put into the webpage redesign during vacation downtime, but I doubt any of it will show up during that time. The major changes will more than likely remain either on paper or as graphic tidbits stored locally until they can be fully integrated. On the design front, the prototype control board for the Underbody Lights is about halfway into the layout phase. It's bigger than I would want a production unit to be, but it's OK for prototyping purposes. A couple of the more important quotes have been received (with MAJOR prompting on my part), but I sent the quote for the PCBs back for a requote as they substituted a component with something completely unknown (even the company that supposedly carried the component didn't have any specs on the piece). It has been several days again since I last heard from the board house, so I'll need to prod them again come Monday. I'm getting agitated that quotes are not coming back very fast...from ANYONE! How people can run their business this way is beyond my comprehension. Other than some continuing cleanup work on the case design, everything is finished and ready for production. I have placed as many individual items on order as possible, but everything else seems to be going nowhere fast. I have two products (Footwell Lights and Windscreen Lights) completely designed and clients waiting in the wings, but actually getting them produced is becoming a major thorn in my side. Oh, in case it isn't clear yet, the code has finally been finished :) I spent the better part of a day putting together an instruction manual for the Footwell Lights...it's not perfected, but it's pretty close. The format is pretty much a straight copy from the original Word document, but the final edition (to be included in the shipping package) will be in a booklet form (essentially an 8.5" x 11" sheet folded in half). Since this is merely a rough draft, I have disabled all functionality in the PDF, including printing and text selection. The final version will obviously allow printing. The Footwell Lights are straightforward enough for most applications, but the Windscreen Lights pose a unique issue...installation in just about every car is different. For the S2000, I now have someone do the install work for me...he purchases the kits in bulk and charges for the installation procedure, but it requires shipment of the windscreen. For the 350Z crowd, the stock windscreen has a slight tint to it (which doesn't allow the LED light to shine well) and needs to be replaced with a clear version...sourcing safety glass has proven to be a problem. On top of that, I also needed to create a 350Z-specific set of install instructions as part of the car needs to be disassembled to get to the windscreen. I would suspect most other cars will give me similar difficulties. It's not the end of the world, but it will certainly make the introduction into previously unmodified cars slow. I did not know it at the time, but an email sent to the company working on the case design was to be the last for a couple of weeks. Needless to say, I became quite worried that all of the work (not to mention money) up to that point had been wasted. A couple of days ago I was finally able to speak with them and make sure we we're still on track. Fate conspired against the both of us and held them up, but I'm told work would begin once again this weekend. If things work out, I should have some CGI images of the case to post by the middle of the week. The prototype boards allowed me to chase down some of those lingering design issues. As it was, the controller would have worked just fine, but I want to rid the design of as many potential problems BEFORE production. The production board layout was finished about a week and a half ago, so I sent the files off for an assembly quote. It hasn't come back yet, but a few of the quirks in the design necessitated a few minor layout changes anyway. The changes were minor, so it shouldn't affect the quote by more than a few percent. Once all of the minor design issues were resolved, I ran into some fairly major issues with my lab equipment. I ate up three entire days trying to decide why I couldn't program the new chip being used in this design, only to find the cable had a broken wire inside the insulation. Well, once that was out of the way I could move on to adding in the fading functionality. The core of it has been put in, fade out is quite smooth, but I still need to modify it so that each LED strip can be independantly controlled. A few hours worth of work, so I'm not concerned. The prototype flex strips came in early this week, and I think they're going to fit the bill nicely. I have enough for about 15 Footwell Lights sets, so I'll throw some together once the code is finished for in-car testing. I'll post pics of that, as well, once I have pics of the case ready. The website is in desparate need of a major overhaul, particularly before Hi-Tec Designs begins its official web rollout. I have been mulling ideas over and over again in my head...changes to the graphics, step away from frames and move towards tables (since the search engines are nice enough to cache my website as the main frame only, which essentially amounts to a blank page...high technology, riiiiight), and last but not least...I need an electronic shopping cart so customers can use credit cards. I suppose this will all be done during the time everything is being produced at the factory. I could really use the time to continue working on the Underbody Lights, but that's life in the busines world. I wish I had some exciting news or pictures to post, but nothing so grandiose at the moment. Case design progressed more quickly than I imagined, so I'm quite happy with the work up to this point. The case still requires some fine tuning to make it feel more organic and less industrial, but it's my lack of time that is holding things back rather than anyone else...the modifications can't be made until I settle on a specific board layout (for the production version, not prototypes). The final prototype board came back from the board house several days ago, which gives me a platform to finish up the few remaining details left on the code (such as fading). I will spend the next few days laying out the production version of the board now that the hardware design itself is locked. Once that is finished, I can give the measurements to the case design company and let them finish it up. I have tentatively decided upon a board house for the production version...all I can say is, U.S. companies will try to rob you blind! The difference in price between the best and worst offers was well over 11:1. And the most amusing part of it all? They use the same board houses. The only difference is they act as a middleman and take a fat chunk of money for your trouble. Oh, but that was just the icing on the cake . For the last several months I have been trying (futilely, I might add) to secure all of the necessary licenses (city, county, etc.). All right, imagine this...I am attempting to give money to various agencies for a piece of paper (read, license) so that I may turn around and pay them more money for every product that I sell (read, taxes). Never in a thousand years had I imagined a governmental agency would make it so difficult to give them money. Be that as it may, the licensing is finally secure. I quickly tired of waiting for the "local talent" to get back to me on creating CAD files for the case design, so I have commissioned someone I feel is appropriately talented to do such work. So, as slow as it seems, progress is finally being made on case design. Board layout for the new Footwell Lights and Windscreen Lights has been severely hindered by the web site issues, licensing, as well as other minor problems, but it's almost finished. The new design should arrive at the board house by the end of the week. Changes will be made to the layout, as appropriate, as the case design progresses. The firmware will still need some modifications for extra functionality on the Footwell Lights, but that's a minor issue when compared to all of the other issues that have been resolved lately. 04/06/2004: Second phase funding is in! Earlier this week I closed on the paperwork for the second phase of funding. This means great progress for the business as I'm now able to have molds made for custom cases, as well as purchase some much-needed equipment and components. Work continues on achieving the third, and hopefully final, round of funding. The controller design for the Windscreen Lights and Footwell Lights has being slightly modified. While there is nothing wrong, per se, with the current design, it won't allow me to achieve some of my original goals, particularly with the Footwell Lights (such as being able to slowly fade out the lights after the doors have been closed). The new changes have already been made in the design, but a new board layout is only partially complete. If given several days of uninterrupted time (LOL, like THAT would ever happen! ), I could have the layout finished and sent to the board house. The good news is, the only difference between this most recent version and the production version will merely be placement of mounting holes and other such items. The new board layout will also allow "prototypes" that look nearly professional, so production-ready cases won't be a complete necessity for those out there chomping at the bit waiting to get your hands on these things. Once the cases are finished, the Windscreen Lights will officially be for sale. The Footwell lights will follow shortly once a few modifications to the software/firmware have been made. My "local talent" for case designs never did get back to me, so I'm still on the lookout for someone skilled in the art of 3D CAD design (SolidWorks, Pro/E, etc.). I REALLY can't afford the time to create the files myself, but I will if forced to. If anyone out there is interested in a fairly simplistic job (I guesstimate about 10-20 hours should be enough), please contact me as soon as possible. Although I have spent practically no time working on the website, I added in the blue separator bars to help section off each update. This will hopefully make things a bit easier to read until such time as a new site is placed online. To be honest, the flashing lights makes it a bit hard on my eyes, so feel free to let me know your thoughts. I've been putting off a few additions to the website as I tackled more important issues, but now seemed as good a time as any. So, you'll note the addition of two new animated GIFs in the Pictures section. The first is of the latest digital windscreen design, created from a few user-supplied pics. The second is from several pics I took a few months back of a custom logo using the original analog windscreen lights...the image quality isn't great for certain colors (older digital cameras being what they are), but the logo was so unique I had to add it in (if memory serves, the client's daughter liked bees). Some good news on the design front! I believe I have settled on some Molex connectors to be used for the production version of the Windscreen Lights and Footwell Lights. They fit the bill nicely, being sturdy, compact, and inexpensive (note I did not write "cheap"). The choice for switches has been narrowed down to four, but I'll make a command decision when it comes time to lay out the PC boards again. Two thumbs up, since this means I can finally move forward again. Case design is still an unknown (actually, it's not case design, per se, but more of a need for someone to create the 3D CAD files in an appropriate format), but there's high potential for me to lock things down in the next few weeks. I have been in contact with some local talent and believe this will pan out. It will be an iterative process between the board layout and case design. While I'm waiting for the local talent to get back to me, I'll rework the PC board in the meantime, making educated guesses as to where mounting holes will go, etc. I'll move pieces around as necessary, but that will be minor work. I'm chomping at the bit to make a webpage transformation, not just to get it done before product rollout, but to have something a bit more pleasing to look at. For a first attempt, I believe it fulfilled its intended purpose, but it's far from a finished work. I'm open to any ideas you all might have, be it snazzying up the logo image to complete format changes. I won't say it will get done in the next few weeks, but I'll certainly file the ideas away for when the time comes. It's been a longer than anticipated hiatus, but things rarely run as smoothly as we would like them to in the business world. I have updated the products page to more effectively highlight the products themselves, rather than the process that brought me to design them. Now that at least one product can be purchased (albeit in a rough, prototype form), this seemed to be the sensible thing to do. The first of the prototype Windscreen Lights was shipped to a very special customer, one which should provide some very useful feedback and noteriety in the near future. A batch of five or six should ship out in another day or two, so I'm hopeful about great pictures coming back. The software was finalized (finally!) with a few client suggestions added in. In particular, the ability to change the screen's color with the brake and reverse inputs was added to the demo mode...therefore, the demo mode can now be used while driving down the street and still retain the unit's basic functionality. My time has been split between several different things this past month. First off, I know exactly the type of connectors I want between the controller and the peripheral pieces...finding it isn't a problem, but finding one that is inexpensive is. Unfortunately, this is one of those make-or-break items...without the exact part/model numbers locked down, I can't design the production-ready PC board. In true dominoe fashion, without the board I can't design a case. Since I'm using the same case design for all of the lighting products, none of them get a case, which means no sales. It's a real sticky situation, believe you me! Regardless, progress is continually being made, and I'm reasonably happy with how things have turned out so far (even if they haven't turned out fast enough). Oh, as a side note...I see a surprising number of new IP/web addresses checking out the site from month to month, as well as a nice stream of regulars. Don't be shy! If you have any comments and/or suggestions, don't hesitate to send me an email, that's what it's there for. Maybe your local car club is in need of some special lighting systems. Maybe your Harley-Davidson or Honda/Kawasaki/Suzuki crotch rocket could use some special touches. Or maybe your watercraft just isn't getting the attention it so richly deserves. Let me know what you'd like to see. I love custom jobs, and if you're idea is good enough to go into production, you may just get your own for a dirt cheap price! 01/29/2004: Minor funding has arrived! While it's not a large chunk, you would be amazed at how far you can stretch the almighty dollar when you need to. I'm awaiting the return of proposals from several companies who will potentially manufacture the cases for the controllers. It's difficult to keep up with all of the latest products on the market, but I did a quite thorough search during the initial stages of the business plan and periodically look for new items. 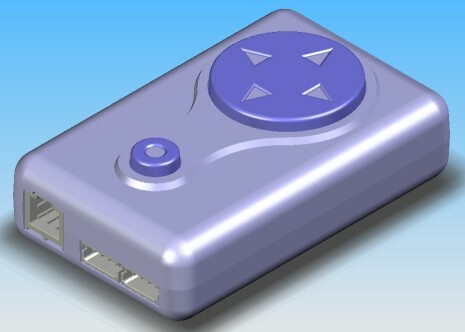 Unless something new has been offered in the last month, I believe my case design ideas will make the controller one of the fancier models on the market. I am currently installing the latest prototype of my controller into the windscreen for my S2000. I will be offering a VERY limited production run of around 30 or so on a first-come, first-serve basis to see what customers like and don't like about the system. This is a limited functionality system, but it will have full color control, brake and reverse lights, and a single demo mode. This will give me the opportunity to tune the system based upon user feedback, not to mention some extra time to continue with the hardware/firmware and case design. I have now locked down the feature list for the standard control box, so any additional suggestions would be introduced in the next production revision. However, feel free to continue suggesting features. The current feature list includes all of the typical ideas seen on competing products, as well as the Hi-Tec Designs'-specific features (don't bother looking for what those are yet, as I won't list them until they're ready to ship). I always hate to visit a website and see nothing change over weeks or months...I never know if things have been abandoned or if time is just tight for the webmaster. It's been a week and a half since my last update, and I don't want to leave you all hanging. I can't say, though, that there's much to report. I changed a bit of info on the tech page, but that's minor. I have spent an inordinate amount of time working on the business plan. The good news is I believe a first round of funding will be coming in over the next few weeks. Although it's not anywhere near the full amount specified in the plan, it should help significantly in producing a ready-to-manufacture prototype. As much as I would LOVE to tell you all what the system will and will not do, I've been burned in the past giving away too much information, and I'm not in business to help my competitors. I can give some hints, though...for example, the underbody kit will have functionality similar to the high-end Liteglow/Plasmaglow kits. If I have my way with the manufacturing process, functionality will actually be better while pricing remains competitive. I honestly wish I could tell you more because I know you'd want to pick up my system compared to the competition, but then I would be giving them a heads up. ...unfortunately they're not visible to you. I fixed a few spelling errors on the site and did some basic touch-up work, but the bulk of the work has been behind the scenes. I have been sweating blood and tears lately working on several things at once. First off, the business plan needs to be finished so I can receive my first round of funding (read REAL money, not $1,000 here and $2,000 there). Without that high level of funding, my products can only be handmade instead of manufactured, which means VERY low production numbers. Most think (as I originally did) that starting a business (at least in the official sense) is a pretty easy deal...a few grand in the bank, a computer, and an idea. Unfortunately, things couldn't be further from the truth :( I am now spending roughly 80% of my time (or more) dealing with the business side of things...licenses, funding, equipment, inventory, etc. I will be VERY glad when I can afford to let someone ELSE take care of those things. A second, but related, issue is getting the website out there. I'm not interested in pushing it too much as I don't have actual products to sell in bulk yet, but that time will come in the next few months, so I want to be prepared. My site is starting to pop up on the major search engines, but only if you specifically look for it...at least it's progress. The third issue, and probably the most important one over the long haul, is the product design itself. While the core design has stabilized, some of the peripheral pieces have continued to go through changes, due partly to new/better ideas and partly to manufacturing issues. I will do as much work as possible myself, but in the end I'll more than likely hire a product design firm to clean up the details and get things ready for manufacturing. I added some simple Q & A's to the FAQ page...I have more to add, but again, this is a good start. I also added in a small section on white LEDs on the Tech page. The main page now has a mini-icon in the address bar, which will also display the icon on your favorites list should you choose to bookmark the site. I have added some basic informaton on LEDs (with my comments in yellow) to the Tech page. I have a significant amount of information to add, but this is a good start and should keep people busy for a good 10-15 minutes reading through it all. Netscape did a decent job of displaying my webpage, but IE always wanted to add in horizontal scrollbars, regardless of my settings. Well, I settled that issue, but I'm still not happy with final result. Although the scrollbars don't show up and ruin the look...well, they don't show up when you need them to (e.g., small screens or low resolutions). I'll continue to look into this issue. A < NOFRAMES > section was added for those viewing the page using browsers that don't support frames. It's nothing more than a basic link to the individual pages...nothing fancy, but it does the job. The last thing ties in with the previous item. I added in some basic scripts to every page on the site (except the main frame). If any page is viewed directly (i.e., not within the original framed setup), such as what happens if the page is surfed to from a search engine, a note is displayed at the top of the page mentioning such and a link to the framed site is provided. I added this page for the reasons mentioned at the top. Until I have an official forum set up, you'll have to deal with one way communication...essentially this will become my personal blog on the company and products. I enjoy letting my clients know exactly what is happening, not just with the company in general or soon-to-be-released products, but also how progress is advancing on those products...what's going right, what's going wrong, my projected roll-out date, etc. While I'm just as guilty as the next guy at missing a self-imposed product deadline, at least this way you KNOW if it's going to be on time or late. I also feel it gives everyone a true sense of what's involved in projects of this magnitude. No more questions about "Why does this little widget cost $200?!" since you get to experience nearly first hand the successes and failures of my work. You get to see what makes the projects tick, and even go price the components for yourself...that way you can tell yourself "Maybe that isn't such a bad deal after all..."
Anyway, I have made a few visible changes (although they aren't perfected yet, especially in Internet Explorer) and a few architectural changes to this site (to assist me in keeping track of things). I wanted to take care of those minor items so I can submit the page to the major search engines...not to mention I currently have a bit of downtime now that the weekend is here. I truly need more workdays, not for me directly, but so everyone else can be in their cubicles and I can get the info I need to continue my work.